In 2017 Weber is reinventing the Weber Genesis barbecue! The Weber Genesis II comes with a whole host of new and exciting features, including a brand new look. In this post we’ll run down all the new and improved features of this model. Whether you need a gas barbecue for your apartment’s balcony or one which will feed a crowd, there’s a Genesis model to suit everyone! 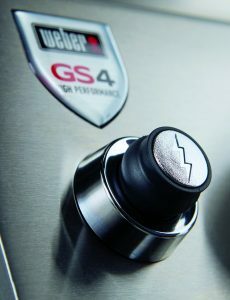 All the models come complete with Weber’s new GS4 Grilling System. Firstly, the ignition of the barbecue is so simple, all you need to do is turn the knob and the barbecue lights instantly! This is because each control knob has a dedicated internal switch which means it will light 100% of the time. The burners have also had an upgrade – they now have a tapered shape to ensure consistent gas flow from the front to the back of the cooker for improved heat distribution. The flavourizer bars which were developed as part of the original 1985 Genesis, have thankfully not gone away. They are angled so that the juices and grease from the food you’re cooking gets evaporated and infuse their flavours back into the food. The grease management system of the Genesis has also been improved. It’s now in the center of the barbecue which means you now have much better access to the drip pan for ease of disposal. 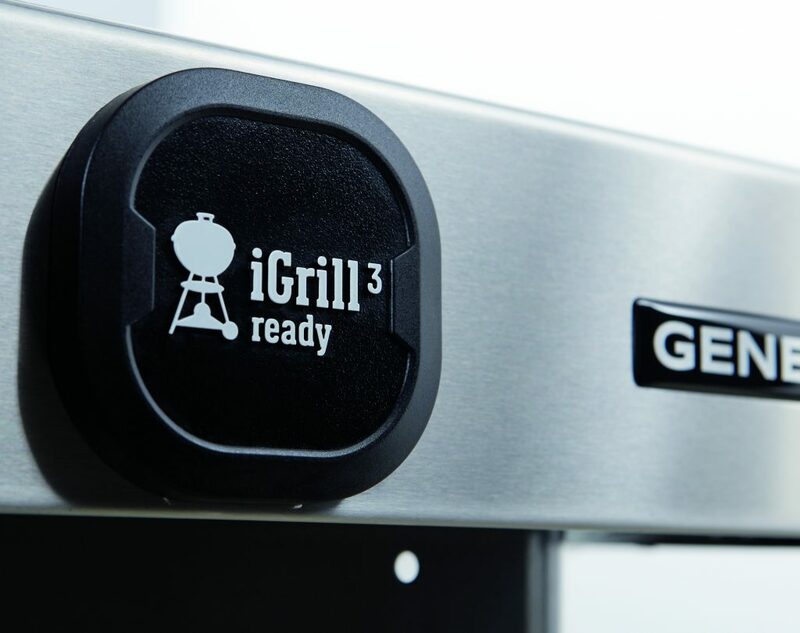 The Weber Genesis II is also iGrill 3 ready. This bluetooth thermometer and temperature probe connects to the Weber iGrill app so that you can see what temperature your food is cooking at without having to open the lid and loose all that heat. The Genesis II still comes complete with Weber’s fantastic Gourmet Barbecue System – from woks to pizza stones, the GBS will allow you to cook almost anything on a barbecue! The Weber Genesis II also comes as an LX model. With the LX you have the choice of a stainless steel finish as well as black. Plus, the LX has 2 solid doors rather than an open cart design.